← Five Star Reviews Continue! Yay! Today I am happy to share yet another Q & A author interview. It’s an amazing thing to have been able to read her book and at the same time get to know her. I hope you enjoy today’s interview is with Mrs. Jalpa Williby author of debut novel, Chaysing Dreams. Lets all welcome her and see what she had to say. EB: So tell me a little about yourself, your background and why you decided to write a book? JW: I am married with three children. I work full time as a physical therapist. I decided to write Chaysing Dreams because I’m an avid reader and one day, I told myself, “I’m going to try to write a book.” Well, as my story developed and when I fell in love with the characters, I knew I had to pursue it. JW: I really haven’t thought that far. My short-term goal is to get the trilogy completed. Honestly, the fact that the readers are receiving the first one so well, is enough for now. JW: I love Khaled Hosseini. But to be perfectly honest, it was actually the Twilight Series that got me to read again. Life just gets too busy, and I stopped doing what I love doing-reading. Then I realized that I love writing just as much. And the cool thing is that I can control my own story. 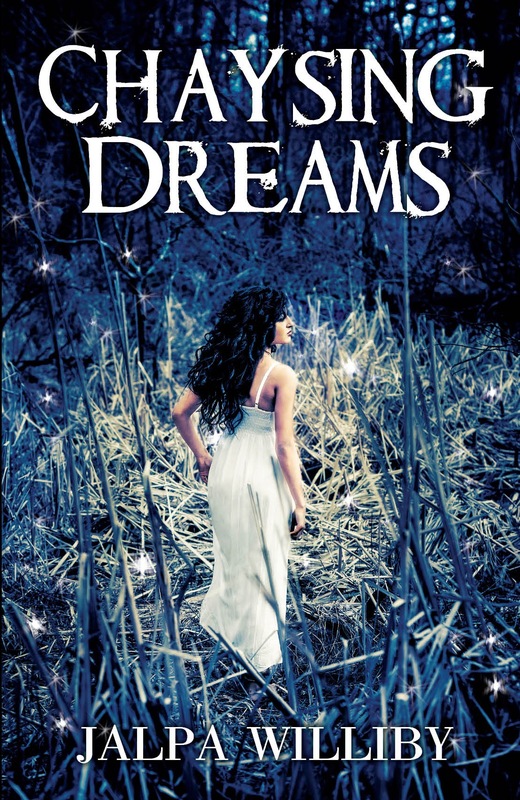 EB: As we all know Chaysing Dreams is your debut novel, how long did it take you to write it? JW: I started writing it about a year and a half ago. I finished writing it in about six months. But then the hard part came- the editing and the revising… and editing some more, and revising some more! It was tough! JW: I knew I wanted something with “Dreams” in it. I was talking to my best friend about it, who had read the original manuscript. And somehow the conversation went to “Chasing Dreams”. But she came up with the clever idea of “Chaysing Dreams.” Of course, after you read the book, you understand why it’s spelled that way. EB: Is there a message in your novel that you want readers to grasp? JW: “There will always be ups and downs, twists and turns in our lives… When it’s all said and done, only you are in charge of your strength, your peace, and your happiness.” The main character, Tess, says this in her speech at her graduation. EB: How much of the book is realistic or personal? JW: I do tend to use some experiences from my personal life. Plus I have teenaged kids, so that definitely helped when Tess was a teen. EB: If realistic or personal, are the experiences based on someone you know, or events in your own life? JW: Perhaps certain details or events are fabricated from personal experiences. But really the main plot of the story is totally made up from this crazy head of mine. EB: Give us an insight into your main character. What does he/she do that is so special to you? JW: Tess is perfect- almost too perfect. Sometimes, you actually want her to make mistakes. But as the story goes on, we see that she is not as strong as we originally thought- she hits rock bottom. Tess is very special and it’s hard not to love her because she has a heart of gold. EB: Did you learn anything from writing your book and what was it? JW: Ha, I learned a lot! Let me put it this way, the thesaurus and dictionary.com were my best friends! EB: What was the hardest part of writing your book? JW: The editing and revising was tough. No matter how many times we’d go through the book, we’d still find mistakes. It was crazy. JW: I just request it. I either send them an email or some have a form to fill out on their website. JW: Most that I’ve asked have responded and gave me an honest review. I’m still new to all this, so I’m learning as I go. I’m sure I still have to ask for a ton more reviews. JW: Umm, no. I literally search Facebook or twitter. I honestly have no idea what I’m doing! It’s quite funny, actually. If anybody would like to give me any guidance, I’ll take it! JW: I absolutely read the reviews. I wrote for the readers so the reviews are very important. Luckily, the reviews have been positive so far, but the only way to grow and learn is from these reviews. Would I let them influence my writing? Probably to a certain degree, I would. I mean I write what’s in my heart- I put it all out there without worrying about anything else. But let’s say I get multiple reviews that say that I’m too wordy, or I don’t use enough details, then I’m going to address it. I want to work on my weaknesses. JW: Go for it! Life it too short, so follow your dreams. JW: Thank you for reading Chaysing Dreams! I hope in some small way, it made you smile. JW: I work full time and I have three kids. So basically, whenever I can squeeze it in, I’m writing or marketing. It’s crazy! I walk around like a zombie half of the time! JW: I’m just so appreciative of everybody in the literature world. You’ve all been very helpful. When people like you review the books and give us your time to interview us, it makes a huge difference. It’s all about exposure and you guys help us get that. So thank you! JW: I am working on the sequel! Don’t worry readers, Tess’s journey will continue in the next book! I’m not sure of the exact date. It’ll be some time in 2014 though. JW: I’m active on some social media sites. All this social media, wow! Boy, am I learning a lot! Jalpa Williby was born in India and immigrated to the United States at the tender age of eight. A voracious reader, Williby’s adolescence was marked by a promising academic career. After graduating with a Bachelors of Science from the University of Illinois, Williby went on to earn Masters in Physical Therapy from Northwestern University. Her passion for helping her patients led her to a specialty in neuroscience, focusing on children and adults with neurological impairments. Juggling her time as a wife, a mother, and working full-time, her love for books never subsided. Williby introduces her debut novel, Chaysing Dreams, as she writes with her heart and soul, her passion flowing through every page. 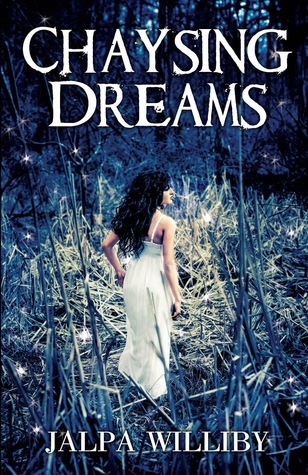 If you haven’t already seen it check out my review of Chaysing Dreams HERE! Thank you Jalpa Williby for the interview and to everyone else for stopping by!